Thank you so much…..It still doesn’t seem real yet! Amazing!!!! So very happy for you both!!!!! Twins!!!!! Congrats!!!!!!!!!! Thank you so much! Can’t wait until November! So exciting! Glad you’re having a fairly uneventful pregnancy! Congratulations! You and your hubby look so adorably happy! Thank you. It was such a happy day! congratulations! So happy that you are happy and healthy! 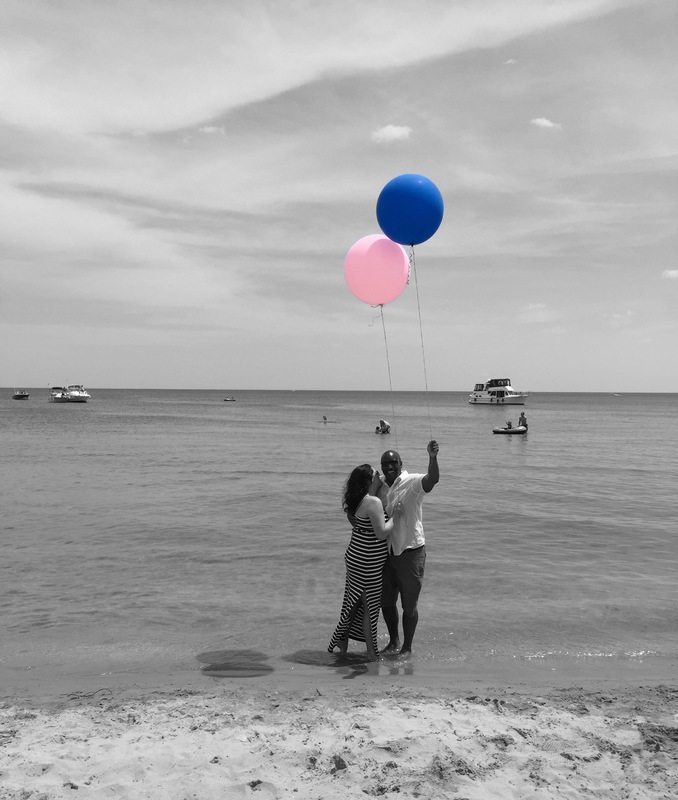 What an adorable gender reveal! Definitely pops out of no where! Its crazy! I see you are done work, you must be so excited! You are in the home stretch! Feeling them moving around inside a lot but no outside kicks yet! Hopefully soon! Congratulations! What a beautiful reveal. I didn’t get morning sickness either so I am eagerly awaiting the onslaught of other horrific symptoms to make up for my smooth sailing so far. I couldn’t sleep and hadn’t been on my blog feed for a while. Thought I’d check out how people were doing so far on their fertility journey and came across your posts! I remember you and I conceiving around the same time. And now we are BOTH expecting boy/girl twins! This is so exciting. Such a blessing. Not too long now! Good luck with the next few weeks and with delivery. So exciting! I can’t totally understand the not sleeping thing right now! Do you know how long your doctor is going to let you go? Hope all goes smooth for you the next few weeks! At the very most 38 weeks!